Read our frequently asked questions (FAQ’s) below. Have a question that isn’t covered? Contact us to find our more. Who is Screech Arts suitable for? Screech Arts participants represent every type of ability. Currently, we support people with physical disability (including people in wheelchairs), intellectual disability, autism, developmental delay, aspergers syndrome and down syndrome. Some of our clients are fully verbal, while others are non-verbal and may use communication devices. We also welcome siblings to some of our programs. Read how we’ve supported Scott to use his communication device in public for the first time. Hmm, I’m still not sure if this will be suitable for my child? We encourage everyone to come along for a free trial (or two)! Each child is unique, and it’s important to see if they like the flavour of Screech Arts before committing to a whole term. Please don’t hesitate to come for a free trial and see what you think, contact us to organise it. I’d love for me or my child to join, but Screech Arts isn’t offered in my area. What now? Please send us a note! It may be an area that we’re already looking to grow. The best thing to do is to join our email list to stay up to date with the latest announcements and news. How experienced are the team? Screech Arts teachers and facilitators have backgrounds across a range of disciplines, including applied theatre, performance, community and human services and psychology. The Screech Arts team brings a unique skill-set that has influenced our workshop and program offering and seen our student base grow. 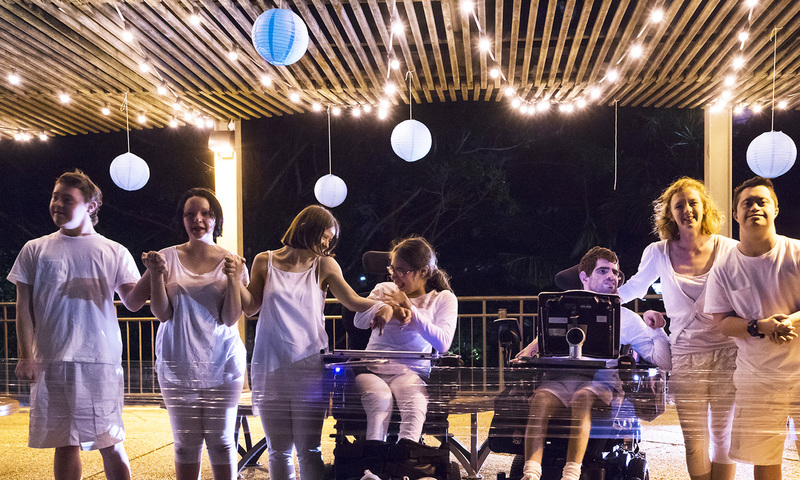 How accessible are Screech Arts programs? All of our classes are designed to accommodate people of all ages, abilities, genders and aspirations and – with our committed team of facilitators and volunteers at the helm – we ensure all Screech Arts participants are supported to achieve the goals they set themselves, and have a great time doing it. All of our locations are wheelchair friendly, and some staff and volunteers have experience in disability from specific diagnoses to challenging behaviours. We also provide communication books, visual and other aides to support with participation. Read more about accessibility and inclusion. How do I pay for Screech Arts? Invoices will be sent out via email once a term to the email specified on your enrolment form. If email doesn’t suit you and you’d like to be notified in a different way, please get in touch. What kind of training do staff and volunteers have? All our staff and volunteers have specific Screech Arts training, as well as: Blue and Yellow Cards, Criminal History Checks, Fire and Safety Training, and Workplace Health and Safety Training. How do I find out more about Screech? Is it easy to join? 1. Send us an enquiry or call 1800 275 753. You can ask us anything. 2. When you’re ready to sign up, a Screech Arts team member will send you an enrolment form and program details. Did you also know you can trial the program for free? Talk to us to organise it. 3. Come along on the day, and join the Screech Arts magic. What do I do if I can’t attend a class or workshop? Please try and give at least 24 hours notice if you can via email or by calling your local Screech Arts Facilitator. Have a question that isn’t covered? Fill in this contact form or call 1800 275 753.